CEO Whisperers helps its clients become aware of the infinite potential of their company. We help the CEO/ owner and top management identify the many marvelous qualities it already has. We help to identify qualities that can be enhanced as well as the problematic aspects of the firm that can be turned toward the positive. After taking our clients through the process of identifying key problem areas, we devise innovative strategies for improvement. We do this by targeting the weakest engine of the business -- from among Market, Products & Services, Organization, People, and Finance, -- and then present powerful strategies to lift the company to its full potential. The object then is to shape the company into a 'Living Organization,' where high energy, vast productivity, and enormous profitability is the norm. It is a company that is firing on all cylinders: outward to the market and society; and inward among its people and throughput all its internal components. The end result of this process is that the company normally doubles its profits in two years or less; and then doubles, and doubles again. In addition to our services to uplift the company, CEO Whisperers helps the CEO/owner himself/herself acquire all of the necessary skills and psychological attitudes that will help the firm realize its full potential. Our standard service is to help you raise the condition of your company for maximum productivity, revenues and profits. The first step is to meet with the CEO /owner to discuss the issues of concern in the company. the strengths and weaknesses of the organization. 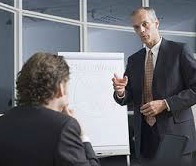 The CEO Whisperer consultant(s) then meet individually with each high level manager and other staffers in order to get to know that person, to discuss the scores they have given on their assessment, and to elicit additional feedback from that individual on the issues facing the company. CEO Whisperers then analyzes all the information, and come up with a proposal for the client company, including strategies for improvement. The company can then continue to work with CEO Whisperers consultant(s) to implement the strategies, as well as utilize other business management tools and services offered. The goal of CEO Whisperers is to raise the energy level of the company to enable ultimate productivity, revenues, and profitability. To achieve this CEO Whisperer consultants evaluate the company in terms of its five growth engines: Market, Technology (Products & Services), Organization, People, and Finance. Through an analysis of the assessment surveys and the meetings with individual team members CEO Whisperers consultants ascertain the strength and weakness of the firm in these five areas. In addition to lifting the company to its maximum potential, we also work with the CEO himself to ascertain his view of things, and determine if he has the necessary skills, and especially the right attitudes to drive his company forward. This is a critical link in the process of dramatically improving the company, as all successful organizations begin at the top.